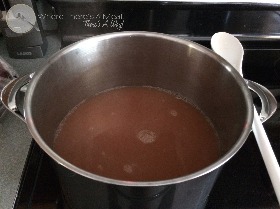 Boil 6 cups of water with 5-7 cinnamon sticks and 1 tablespoon whole cloves over medium/high heat for about 30-45 minutes or until a dark amber color. Boil 6 cups of water and steep 6 tea bags in boiling water. One tea bag for each cup of water. 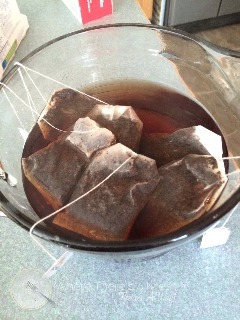 Steep for about 10 minutes, remove tea bag and disolve sugar in tea. It's your very own Boston Tea Party. 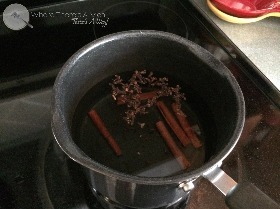 Strain your cinnamon and clove mixture and combine with tea in a large stock pot. 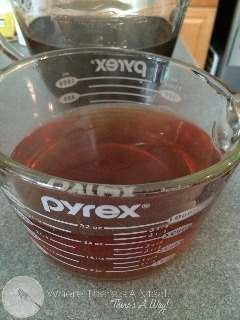 Stir in 3-6 oz. cans of pineapple juice. 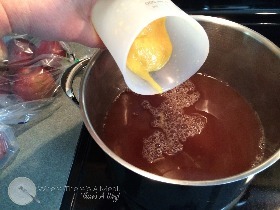 Stir in 1/2 can of both frozen orange juice concentrate and frozen lemon juice concentrate (6 oz. each). Heat all ingredients and serve warm. As the tempertaure starts to fall, try falling in love with Russian Tea! What on the world does Russian Tea mean? Well according to wikipedia "Russian Tea is a beverage which likely originated in America. 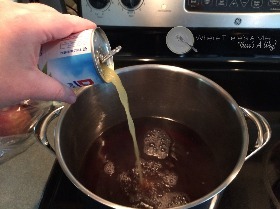 This drink is especially popular in the Southeastern United States where is it traditionally served at social events during Advent and Christmas time. Recipes vary, but the most common ingredients are loose black tea, orange juice (or orange peel), cinnamon, and cloves. Other juices such as lemon and pineapple are sometimes called for. The drink is served hot and often an evening or after-meal beverage. However, iced versions are sometimes offered with meals at cafés. Despite the name, "Russian Tea" probably has no link to its namesake. The earliest reference to "Russian Tea" was in a 1925 American cook book. " Well I grew up in the southeast and this is my mama's recipe and therefore has been a fall staple in my life forever. 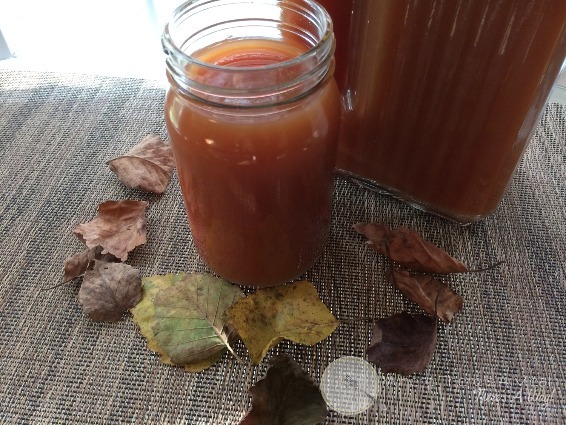 Every time the weather got cold (or we got a cold) a giant batch of Russian Tea was made and the masses would come to enjoy this sweet, fruity, spicy drink. Having guests over? You might want to double the batch, because you are sure to run out! Looking for a new fall favorite that on the coldest of fall mornings will warm you inside and out? Where there's a meal, there's a way! 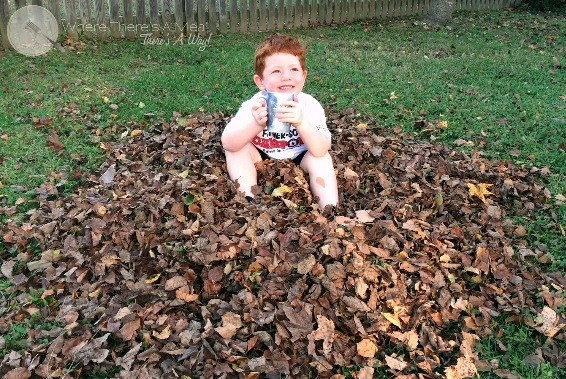 Have a Ball, It's Fall! 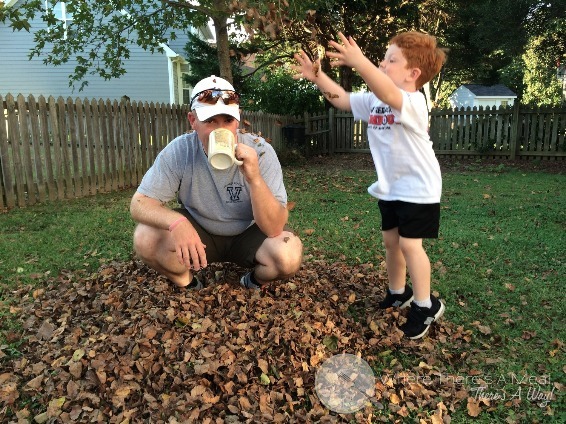 Ah fallen leaves, it's nature's confetti.